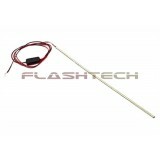 Flashtech Waterproof Flexible LED Strip Lights are commercial-grade rope lights designed for interior and exterior home and business use in situations with higher traffic and more rugged conditions. 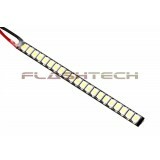 Boaters find these waterproof LED lights perfect for subtle onboard deck lighting, and yachters love waterproof LED ribbons for adding light to their kitchens or sleeping quarters. 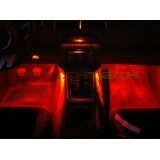 Automotive experts use it for brighter, more efficient footwell illumination, in the glove box, under the chassis, or even under the hood. 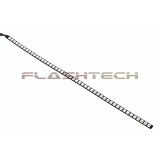 Flexible Waterproof LED Light Strips are sold in a 5 meter (17 foot) roll or by the foot so you can order the exact length you need. 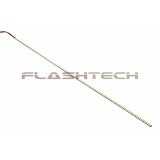 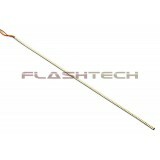 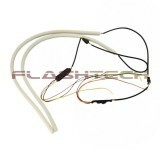 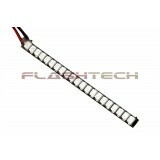 Introduction Flashtech Flex LED Strips are semi-flexible SMD LED strips. 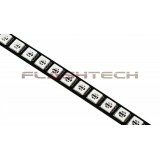 The high density of ..
Introduction Flashtech Flex Fusion V.3 LED Strips are semi-flexible SMD LED strips utilizing ..
Introduction Flashtech flexible Switchback LED strips have been designed to all ve..
Universal Flashtech Fusion LED Grille Kit. 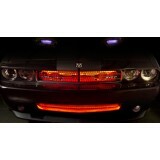 Brighten your drab factory grille or show off th..